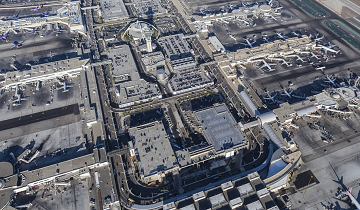 The Midfield Satellite Concourse (MSC) North is the next substantial project in the continued modernization of Los Angeles International Airport (LAX). The development of the MSC program will enhance the passenger experience and benefit the public by relieving dependence on gates in remote locations. The MSC will improve customer experience at the airport and expand international travel through LAX as it enables additional wide-body aircraft gates to serve current and future demand. 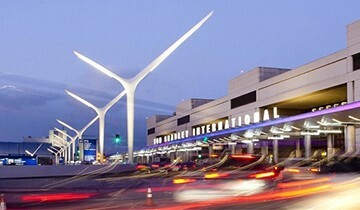 The new concourse will be built west of its immediate neighbor, the Tom Bradley International Terminal (TBIT). 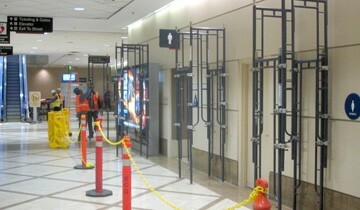 It will connect to an additional gateway inside TBIT through an underground tunnel with moving walkways. A bus facility will allow passengers to access the MSC from any terminal on the airfield. New taxi lanes and utilities are also included. The overall architectural design will provide great views with natural daylight that will contribute to a sustainable and tranquil environment. KKCS is providing construction management, office engineering, and inspection services.